Your go-to winter wonderland jacket is here! The Jack Wolfskin Troposphere Waterproof Down Jacket is all a girl needs to stay warm throughout the cold season. Regular fit offers comfortable range of motion. 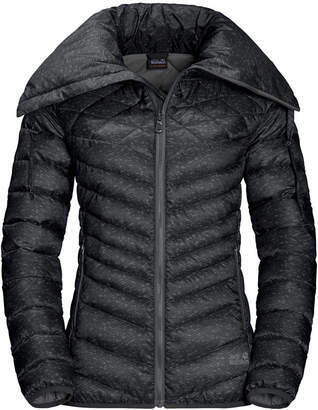 Softshell down jacket features MICROGUARD synthetic fiber insulation in select areas. 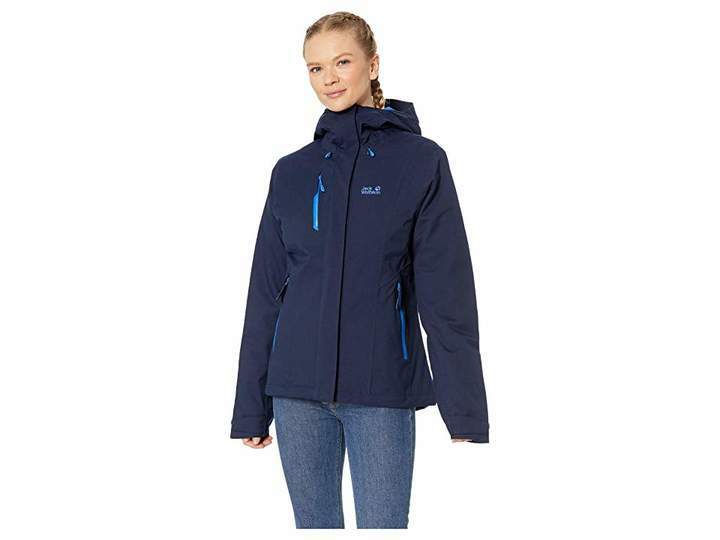 Texapore O2+ Stretch: • Polyester weave features a water and windproof outer membrane. • Water column rating: 20 000 mm MVTR: 15 000 g/m2/24h. 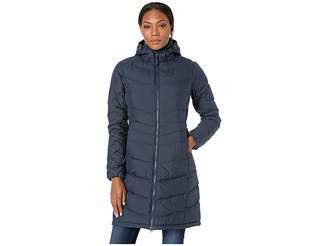 • Breathable layer allows moisture to dry quickly. • Two-way stretch allows for freedom of movement. DOWNFIBER 700: • Combination of 70% hydrophobic down and 30% FiberCloud synthetic fibers. • Extremely warm high loft and fast-drying insulation. • Helps retain heat with moisture-resistant properties. • Fill weight: 700-fill power. 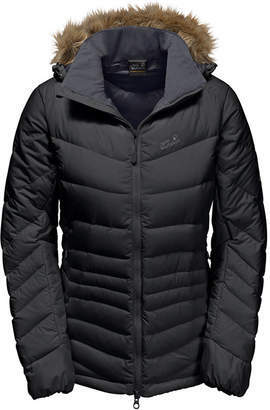 Fixed hood with a protective peak volume toggles and peripheral adjustability. Full front-zip closure with storm flap. Long raglan sleeves with adjustable hook-and-loop cuffs. Underarm pit zips quickly vent excess heat. Waterproof chest zipper. Zippered hand pockets. Inner chest pocket for valuables. Curved hem. Brand logo at left chest. Shell: 100% polyester Lining: 100% polyester Fill: 100% polyester. Machine wash tumble dry. Imported. Measurements: Length: 27 in Product measurements were taken using size SM.